Italian dBTechnologies augments both its professional audio, rental and installation ranges at InfoComm11 in Orlando, Florida. Visitors to the RCF-USA booth 169 in the Audio Pavillion are introduced to the eagerly new line array module DVA T12 which makes its US debut this month, alongside the new FlexSys FM range of stage monitors which were launched at Prolight+Sound Show 2011, Frankfurt/Main. A step up from the successful T4 module, DVA T12 provides more power and a greater range than its smaller sibling, and yet with its active three-way design it is just as easy to set up and install. Featuring neodymium speakers and high-performance digital amplifiers with total of 1,400W output power, combined with a DSP and premium quality AD-DA converters, the DVA T12 delivers an SPL output of up to 136dB for large sound reinforcement applications. T12 weighs in at 29 kg. The three 1" neodymium HF drivers, each with a 1.5" Mylar diaphragm, are designed to be exceptionally light and responsive to deliver detailed signals with linear frequency response. Two 6.5" neodymium woofers with frontloaded horn are placed close together to maximize coherent coupling and response for midrange frequencies. The 12" neodymium woofer sports a high power rating and reaches down to 60 Hz to enable full-range applications. The DVA T12's housing is designed to be immune to knocks and scratches, resistant to water and moisture, and fully compatible with DVA T4 units, too. For an added acoustic benefit, both systems' driver sections are in line so that they generate phase-correct high-frequency additions allowing T4 to serve as down-fill extensions in large systems. T12 features an RDnet port for integration into complex, remotely controlled and monitored DVA sound reinforcement systems. The DVA T12's low-end complement is the equally network-ready DVA S30 subwoofer, which (although not exhibited at InfoComm11) will be released later in 2011. 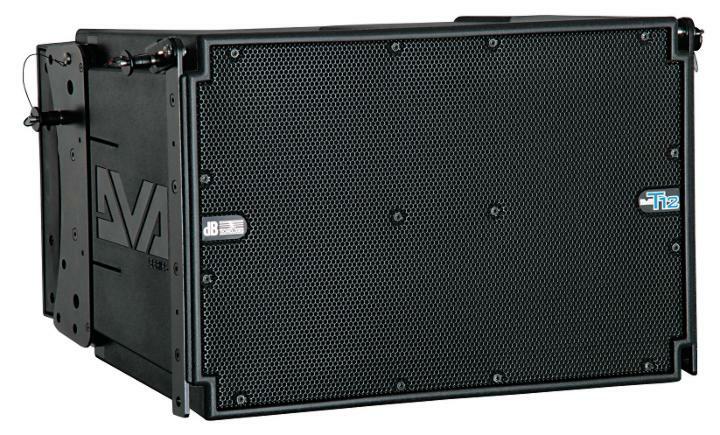 DVA S30 features a dual 18" subwoofer pairing in a bass reflex housing. The FlexSys range comprises three models. Each of the active coaxial speakers is housed in a compact multifunctional enclosure, which can be tilted at two different angles for accurate sound-to-audience alignment. The FM Series has been engineered for precise directivity and uniform throw patterns as well as resistance to feedback. The FM8 is designed for small stages, and equipped with an 8” woofer and as such is the ideal ultra-compact monitor for speech and vocals. The FM8's horn delivers a tighter coverage pattern, making the unit easy to align without interfering with other monitors' signals. FM10 uses its 10” woofer and 200W of power to render vocals, it can also serve as a compact full-range system. The FM12 features a 12” woofer and a 300W total power output, suitable as a full-range monitor for all kinds of live or playback music.